Former UN Secretary-General and Nobel Prize Laureate Kofi Annan died on Saturday at the age of 80. 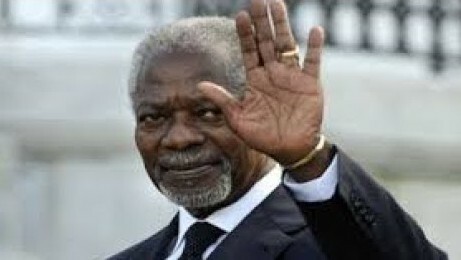 “It is with immense sadness that the Annan family and the Kofi Annan Foundation announce that the former Secretary General of the UN and Nobel Peace Laureate, passed away peacefully on Saturday 18th August after a short illness,” his family said. Annan was awarded the Nobel Peace Prize jointly with the UN in 2001 “for their work for a better organized and more peaceful world”.